Now it’s easy to increase the storage capabilities of your server or PC while protecting data integrity. This one-bay mobile rack backplane lets you install and easily remove a 2.5in SAS or SATA HDD or SDD in a 3.5in external expansion bay on your desktop PC or server. It’s ideal for system integrators and administrators looking for flexible management of data storage. 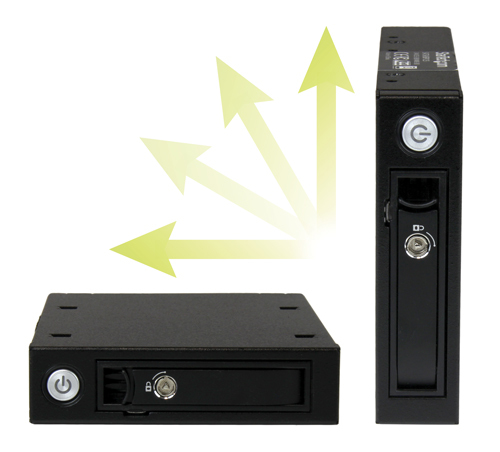 The backplane provides an easy, convenient way to install and swap drives between desktops or servers. 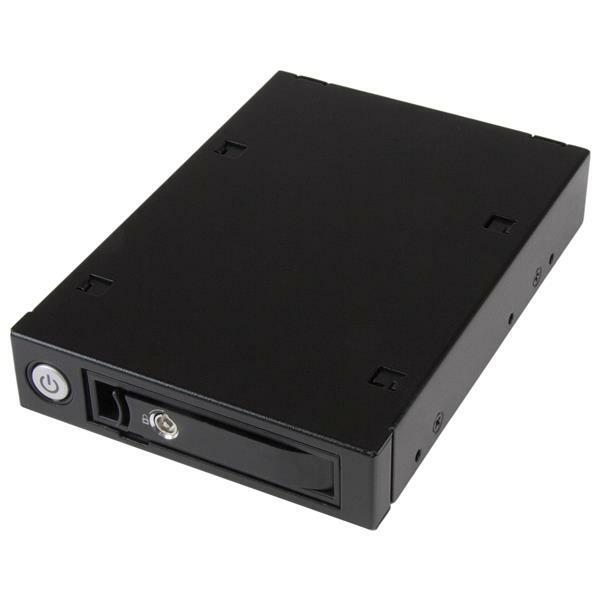 It supports both SAS and SATA 2.5in drives ranging from 5 to 15mm in height. 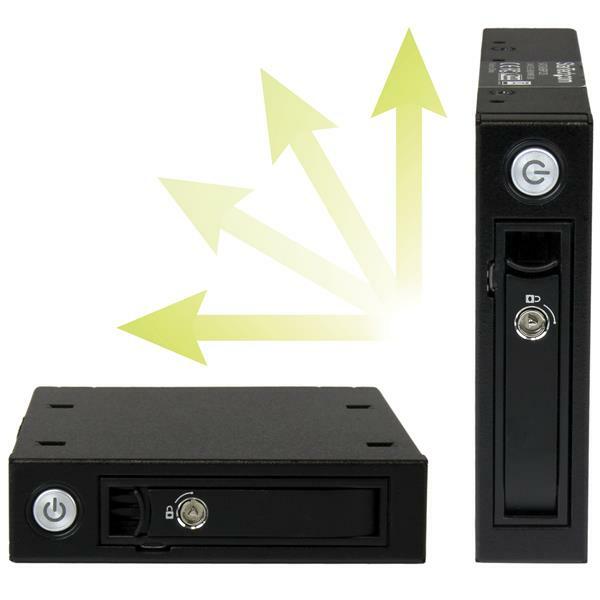 To maximize the performance of your hard drives, the mobile rack supports SAS II and SATA III for transfer speeds up to 6 Gbps when paired with a compatible controller. The backplane can be mounted either vertically or horizontally, for error-free tray insertion and maximum compatibility with servers or desktop computers.You can lock the removable steel tray in place, providing an enhanced level of drive protection. 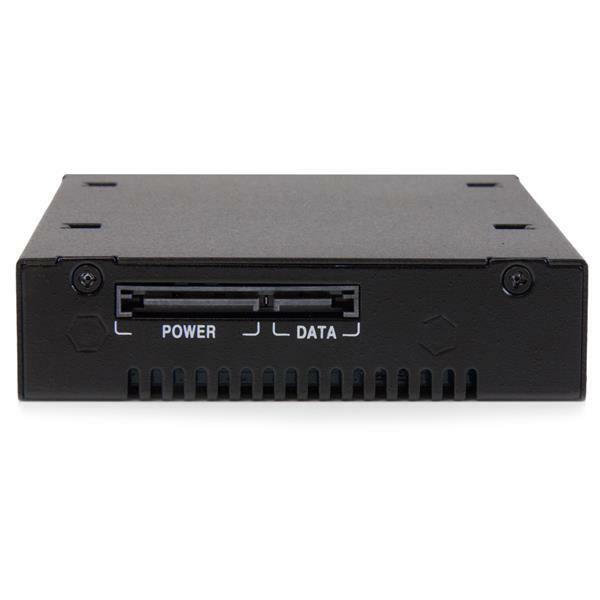 The Non-Scratch SATA (NSS) connector provides a high 50,000+ insertion rating, your assurance of long-lasting performance of both the drive and the bay. Many fast-paced work environments require drives to be removed regularly. This convenient backplane lets you hot swap between systems quickly, without shutting down. The included drive tray is interchangeable, working with both the single-bay backplane and the 4-bay backplane (SATSASBP425) so you can hot swap between systems for easy file access. Engineered with high-quality metal, the robust metal housing delivers reliable performance. The venting helps to ensure proper air flow to assist with heat dissipation. 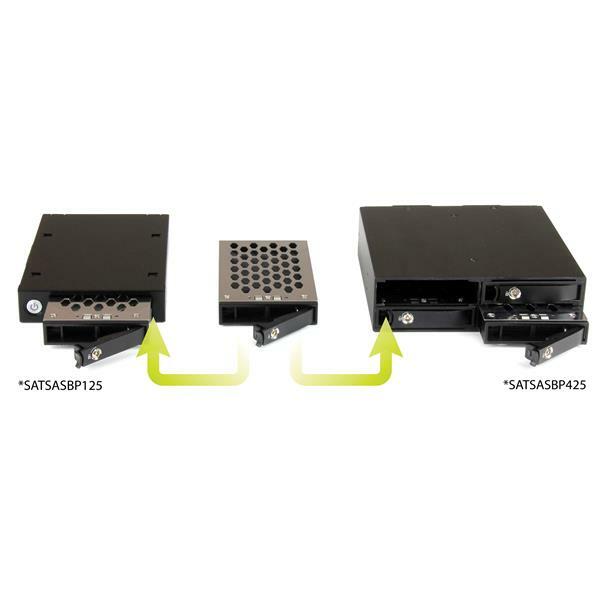 The SATSASBP125 single-bay backplane is backed by a StarTech.com 2-year warranty and free lifetime technical support.